Heavenly blog! : Nr. 403: Paul's trip to Spain! 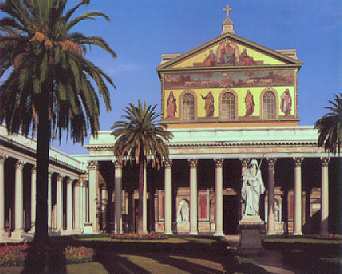 Would warmly recommend taking either a trip St. Paul's Church in Rome in Italy than Peter's Church as it is filled with dead Popes in and it does not feel good to be. But however Paul Church experienced the opposite. Having been there myself in sammem with my wife. Rooms 3:28 p.m. When I then finished this and put this fruit in their hands, I will go from there through your city to Spain Rooms 3:24 p.m. I hope to see you at gjennemreisen when I go to Spain and get a result of you there when I first in some mon has been good for you. Was Paul in Spain? We know that he was planning on it. At the end of the Epistle to the Romans, he writes that he "for years has wanted to come to you and then move on to Spain." He hopes to see them through the journey and that the Christians in Rome will equip him for the journey there. (15:23 f) Only God knows if the Apostle succeeded with their plans. However, there is every reason to believe it! About this letter, Ernst Baasland, "Clement and his letter to the Corinthians was highly regarded in the early Church. Clement, according to tradition, one of the first popes in Rome. (About 88?? 97) (...) Moreover, his letter to the Corinthians, in some places considered as part of the New Testament canon. Even in the famous manuscript Codex Alexandrinus (about 500), we find this letter, side by side with the biblical texts. The letter cited already Polykarpbrevet (about 120), and Eusebius says that this Üuomtvistelig real, wonderful and admirable brevÝ was read publicly in the churches until his own time (ca. 325). " Baasland, who was professor of New Testament at the School of Theology and now you know, Bishop of Stavanger, says that the letter "had an outstanding position" in research, since it "is one of the fixed points in our knowledge of the earliest church . For any serious researcher dismiss Clement as the author of this letter. No doubt that the addressee is the Corinthian church, and dating can almost certainly be determined to 96 years "(" The Apostolic Fathers "). It is also quite clear that the letter is written in Rome on behalf of the congregation same place. It was delivered at Corinth of three named Romans. Baasland clearly in his account that he is impressed with the writer. Clement knows what he is talking about: "The author's knowledge of the GT is sensational. Examples and citations retrieved by GT a matter of course. (...) He uses virtually all GT and have a very thorough knowledge of the LXX text (the Greek translation of the Old Testament, the Septuagint). " In his church history from the 300s printer Evsebius that Paul "after having defended himself (with success), it is said that the apostle continued to preach the gospel, and when he came to the same city for the second time, he became a martyr." ( Evs. 2:22). In the Apocrypha, "Peters works" is told in detail about Paul's departure from Rome's port Ostia to Spain in the first three chapters; likewise "Muratoris cannon", but these are not as good sources of the above. 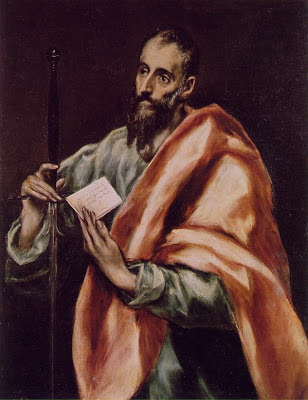 The Fathers John Chrysostom and St. Jerome saw however that Paul came to Spain as an indisputable fact. The former writes: "Paul, after his stay in Rome, they went off to Spain." The tradition that Paul preached the gospel to the inhabitants of the town of Tarragona on the east coast of Spain goes at least back to 800's. He should have appointed the first bishop Prosperus. In the cathedral there is a Paul chapel, this should be erected over the place where he preached to the inhabitants. The walls are from Roman times. In Paul's letter we sense that the apostle, probably after your stay in Spain, went to Crete (Titus 1:5) and were later both in Greece and on the west coast of Asia Minor. Possibly he was arrested in Troas, for which he left both a robe and important parchment scrolls, only to be brought to Rome.